Fig. 13. Same as Fig. 10 but for northward track type from October to January. The wind fields display the corresponding circulation flow and potential effective local weather systems. In this study, the West Pacific Subtropical High of winter-time may be the critical modulator of TC tracks in this region, specifically during post-winter-monsoon period. Moreover, such strong weather system is associated with Northeast Trade Wind and East Asia Winter Monsoon. How westward this system extends is partly result in whether TC in BOB moves westward or not. Thus, mechanism and causal relationship between the West Pacific Subtropical High as well as possible modulated systems will be investigated in the future. This research was supported by National 973 projects (No. 2011CB403505), the Natural Science Foundation of China (Grants U0733002), Natural Science Foundation Guangdong, China (Team Research Project 8351030101000002), and the Postdoctoral Fund of China (No. 20090450911). Camargo, S. J., A. W. Robertson, S. J. Gaffney, P. Smyth, and M. Ghil, 2007: Cluster analysis of typhoon tracks. Part I: General properties. J. Climate, 20, 3635-3653. --, A. W. Robertson, S. J. Gaffney, P. Smyth, and M. Ghil, 2007: Cluster analysis of typhoon tracks. Part II: Large-Scale Circulation and ENSO. J. Climate, 20, 3654-3676. --, A. W. Robertson, A.G. Barnston, and M. Ghil, 2008: Clustering of eastern North Pacific tropical cyclone tracks: ENSO and MJO effects, Geochemistry, Geophysics and Geosystems, 9, Q06v05. Science Press, Beijing, China, pp. 400-490 (In Chinese). Chou, S.-H., Nelkin, E., Ardizzone, J., Atlas, R. M. and Shie, C.-L., 2003: Surface turbulent heat and momentum fluxes over global oceans based on the Goddard satellite retrievals version2 (GSSTF2). J. Clim., 16, 3256-3273. Elsberry, R. L., W. M. Frank, G. J. Holland, J. D. Jarrell, and R. L. Southern, 1987: A global view of tropical cyclones, Univ. Chicago Press, 185 pp. Gaffney, S. J., 2004: Probabilistic curve-aligned clustering and prediction with regression mixture models. Ph.D. thesis, University of California, Irvine, 281. Goh, A. Z., and J. C. L. Chan, 2009: Interannual and interdecadal variations of tropical cyclone activity in the South China Sea, Int.J. Climtaolo., doi:10.1002/joc.1943. Grell, G. A., J Dudhia, and F. R. Stauffer, 1995: A description of the fifth-generation Penn State/NCAR Mesoscale Model (MM5). NCAR Tech. Note NCAR/TN-398 +STR, 122pp. Gray, W. M., 1968: Global view of the origin of tropical disturbances and storms, Mon. Wea. Rev., 96, 669-700. Gupta, A., R. K. Bansal, 1997: Performance of a global spectral model in predicting the track of a hurricane in the Bay of Bengal using synoptic vortex, NCMRWF, New Delhi Tech. report. Jiang, X.-P., Z. Zhong, and C.-X. Liu, 2006: The effect of typhoon-induced SST cooling on typhoon intensity: the case of typhoon Chanchu (2006). Adv. Atmos. Sci., 25 (6), 1062-1072. Joseph, K. J., A. N. Balchand, P.V. Hareeshkumar, and G. Rajesh, 2007: Inertial oscillation forced by the September 1997 cyclone in the Bay of Bengal, Current Sci., 92, 790-794. Kikuchi, K., B. Wang, and H. Fudeyasu, 2009: Genesis of tropical cyclone Nargis revealed by multiple satellite observations, Geophys. Res. Lett., 36, L06811, doi:10.1029/2009GL037296, 2009. Kossin, J. P., S. J. Camargo, M. Sitkowski, 2010: Climate Modulation of North Atlantic Hurricane Tracks. J. Climate, 23, 3057-3076. Langland, R. H., C. Velden., P. M. Pauley and others, 2009: Impact of Satellite-Derived Rapid-Scan Wind Observations on Numerical Model Forecasts of Hurricane Katrina. Mon Wea Rev., 137, 1615-1622. Lau, K-H., Z. Zhang, H. Lam and others, 2003. Numerical simulation of a South China Sea typhoon Leo (1999), Meteoro Atmos Phys., 83, 147-161. Lee, C. S., Y. L. Lin, and K. K.W. Cheung, 2006: Tropical cyclone formations in the South China Sea associated with the Mei-Yu front, Mon. Wea. Rev., 134, 2670-2687. Li, J., A. Wang, E. Hou, G. Li, X. He, T. Peng, and Q. Zeng, 2004: A numerical prediction experiment of track and heavy rainfall about Typhoon Fitow. J. Tropical Oceanog., 23 (1) (In chinese). Li Q., Y. Duan, H. Yu and others, 2008, A High-Resolution Simulation of Typhoon Rananim (2004) with MM5, Part I: Model Verification, Inner-Core Shear, and Asymmetric Convection, Mon Wea Rev, 136(7), 2488-2506. Liang, B. Q., 1991: Tropical atmospheric circulation system over the South China Sea, China Meteorology Press, Beijing, China, Pp. 100-224 (In Chinese). Mandal, M., U.C. Mohanty, P. Sinha, and M.M.Ali, 2007: Impact of sea surface temperature in modulating movement and intensity of tropical cyclones, Nat. Hazards, 41, 413427. --, U.C. Mohanty, K.V.J. Potty, and A. Sarkar, 2003: Impact of horizontal resolution on prediction of tropical cyclones over Bay of Bengal using a regional weather prediction model, Proc. Indian Acad. Sci. (Earth Planet. Sci. ), 112, 79-93. Processes on Prediction of Tropical Cyclones over the Bay of Bengal with NCAR/PSU Mesoscale Model, Nat. Hazards, 31, 391-414. McPhaden, M. J., G. R. Foltz, T. Lee, V. S. N. Murty, M. Ravichandran, G. A. Vecchi, J.
Vialard, J. D. Wiggert, and L. Yu, 2009: Ocean-Atmosphere Interactions During Cyclone Nargis, EOS, 90(7), 53-60. Mohanty, U.C., 1994: Tropical cyclones in the Bay of Bengal and deterministic methods for prediction of their trajectories, Sadhana, 19, 567-582. Murty, V.S.N, M.S.S. Sarma, and V. Tilvi, 2000: Seasonal cyclogenesis and the role of near-surface stratified layer in the Bay of Bengal, PORSEC Proceedings, 1, 453-457. Nolan, D. S., J. Zhang, and D. P. Stern, 2003: Evaluation of Planetary Boundary Layer Parameterizations in Tropical Cyclones by Comparison of In Situ Observations and High-Resolution Simulations of Hurricane Isabel (2003), Part I: Initialization, Maximum Winds, and the Outer-Core Boundary Layer, Mon Wea Rev., 137 (11): 3651-3674. 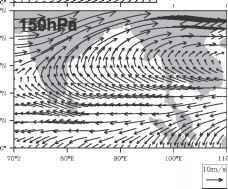 Orlanski, I., 1998: Poleward deflection of storm tracks, J. Atmos. Sci., 55, 2577-2602. Prasad, K. and Y. V. Rama Rao, 2003: Cyclone Track prediction by a quasi-Lagrangian model, Meteor. Atmos. Phys., 83,173-185. Rakesh, V., R. Singh, P. K. Pal and others, 2009: Impacts of Satellite-Observed Winds and Total Precipitable Water on WRF Short-Range Forecasts over the Indian Region during the 2006 Summer Monsoon , Wea. Forecast, 24, 1706-1731. Sarma, Y.V.B, V.S.B. Murty, and D.P. Rao, 1990: Distribution of cyclone heat potential in the Bay of Bengal, Indian J. of Marian Sci., 19, 102-106. Sadhuram, Y., B.P. Rao, D.P. Rao, P.N.M. Shastri, and M.V. Subrahmanyam, 2004, Nature Hazards, 32, 191-209. Singh, O.P., Tariq Masood Ali Khan, and Md. Sazedur Rahman, 2000: Has the frequency of intense tropical cyclones increased in the north Indian Ocean?, Current Sci., 80, 575580. Soden, B. J., C. S. Velden, and R. E. Tuleya, 2001: The Impact of Satellite Winds on Experimental GFDL Hurricane Model Forecasts, Mon Wea Rev. ,129, 835-852. Wang, G., J. Su, Y. Ding, and D. Chen, 2007, Tropical cyclone genesis over the South China Sea, J. Marine Sys., 68, 318-326. Wang, L. K-H. Lau, and C-H. Fung, 2010: Numerical simulation of the genesis of Typhoon Durian (2001) over the South China Sea: the effect of sea surface temperature, J. Ocean Univ. China, 99-115. Wang, L., K-H. Lau, C-H. Fung, and J-P. Gan, 2007: The relative vorticity of ocean surface winds from the QuikSCAT satellite and its effects on the geneses of tropical cyclones in the South China Sea, Tellus, 59A, 562-569. Weber, H. C., 2001: Hurricane Track Prediction with a New Barotropic Model, Mon. Wea. Reu., 129, 1834-1858. Yanase, W., H. Taniguchi, and M. Satoh: 2010: The genesis of tropical cyclone Nargis (2008): environmental modulation and numerical predictability, J. Meteor. Soc. Japan, 88, 497-519. Yamada, H., Q. Moteki, and M. Yoshizaki, 2010: The unusual track and rapid intensification of cyclone Nargis in 2008 under a characteristic environmental flow over the Bay of Bengal, J. Meteor. Soc. Japan, 88, 437-453. 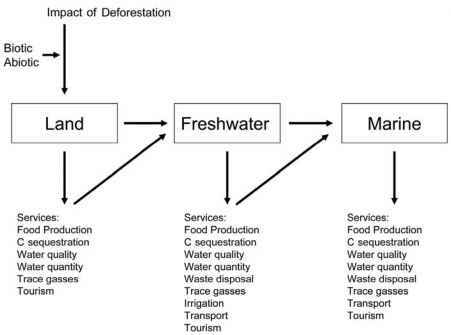 Yokoi, S., and Y. N. Takayabu, 2010: Environmental and external factors in the genesis of tropical cyclone Nargis in April 2008 over the Bay of Bengal, J. Meteor. Soc. Japan, 88, 425-435. Zeng, L.-L., P. Shi, W. T. Liu, and D. Wang, 2008: Evaluation of a satellite-derived latent heat flux product in the South China Sea: A comparison with moored buoy data and various products. Atmos. Res., 94 (1), doi:10.16/j.atmosres.2008.12.007. Zhao, Y., B. Wang, Z.J., X. Liang, G. Deng, and X. Zhang, 2005: Improved track forecasting of a typhoon reaching landfall from four-dimensional variational data assimulation of AMSU-A retrieved data, J. Geophys. Res., 110, D14101, doi:10.1029/2004JD005267. Zou, X., and Q. Xiao, 2000: Studies on the initialization and simulation of a mature hurricane using a variational bogus data assimilation scheme. J. Atmos. Sci., 57, 836-860.